Killing words ~ a case of verbal decomposing? It’s all my publisher’s fault that I haven’t been writing so much on my blog. He, the lovely Creative Director of Ransom Publishing published my quick teen read Mau Mau Brother in their Shades 2.0 series last summer. As with most of my stories, there are many earlier versions. The Ransom Shades edition is aimed at teens with a reading age of around 10 years. Its 6,000 words have been arranged into 11 chapters spread over 64 pages. The purpose of this kind of presentation is to keep an unkeen reader reading, and so give them the satisfaction of finishing a book. And so yes – maybe they will then want to read another. ( I do have other titles in the series). The story, though undauntingly presented on the page, tells of challenging times during the 1950s Kenya Emergency. The narrator is 15 year old Thuo, and his story is one of personal conflict. His hero elder brother, once a British Army sergeant who fought in Burma, has gone to the forest to join the Land and Freedom Army. These are the men and women fighters whom the Europeans dub Mau Mau; their sworn aim is to drive the British from their land. As the terrifying events unfold, Thuo finds himself hating his own brother: surely it is Kungu who is the root cause of all his family’s terrible troubles. But at the heart of Thuo’s hatred is another fear – that he, Thuo, is a coward. Only when the forest comes for him, does he find out what kind of man he truly is. 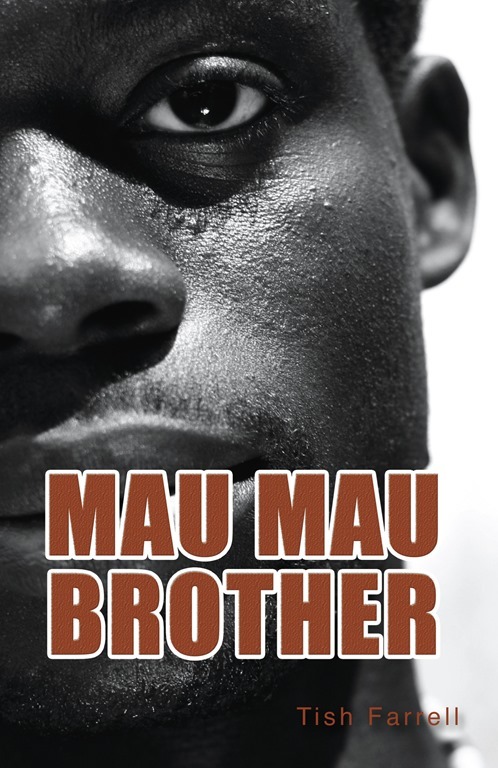 In this excerpt Thuo tells how he helps the wounded Kungu out of the fortified village-camp where Thuo’s family have been forced to live under the British Emergency regime. The village is surrounded by barbed wire and a deep ditch set with bamboo spikes. Kungu is now a wanted man and must escape back to the forest. I haul Kungu from the hut. He half-walks, half-leans as we creep past our neighbours’ huts, across the compound to the ditch. Behind us comes Mugo with a broom, ready to back off fast and sweep away our footprints. Kungu flinches as I help him slide into the ditch. Watch out for the stakes! Mugo throws me his sheepskin. I’m carrying a gourd of gruel in a sling, holding a branch to wipe away our footprints on the other side. I slither into the ditch behind Kungu. We edge between the spikes. At last I push him up the far side. Then he pulls me up. Then it’s through the wire, our sheepskins saving us from the worst barbs. Beyond the wire, a zone of bare earth surrounds the whole village. It is swept before the night curfew and checked for footprints at dawn. We shuffle backwards. I hold Kungu with one arm, while brushing away our tracks with the other. The sweat runs down my face like tears. Any second I think the watchtower searchlight will find us. The brushing takes precious times, but if our tracks are found in the morning the whole village will be beaten, or worse. When at last we reach some cover Kungu stops dead. I am stunned when he hugs me. I stand in the darkness, the wire, the ditch, the village-camp all behind me. I think of my mother and the promise I am breaking. I think of my father, maybe dead in Manyani detention camp. I think of my real home that the Home Guards set on fire. But mostly I smell my brother, the unwashed forest warrior who is fighting for my freedom. Again I make my choice. And now to the reason for the lack of writing in recent blog posts. A few weeks ago Ransom suggested I might write a new version of Mau Mau Brother – this for their Sharp Shades series that caters for teens with a reading age of 8-9 years. The books will still have 64 pages, but half the number of words, plus some B & W illustrations. Half the words – 3,000 instead of 6,000; 250-300 words per chapter. Heavens, that’s tight. Yet the interesting thing is how much I’ve been enjoying killing off my words. I’ve done for about 1,200 so far, this in a story where I thought I’d already pared it right to the bone. And there’s a lesson here for all writers. Being pinned down to a tight word count can be good for your prose. Of course in this case, it’s not only about self-editing and the removal of all superfluous words. The original text had already been well edited. Now it’s more about re-composing the original into a shorter form. At every point I must ask myself how I can convey meaning in the most vivid, yet briefest form, tackle the body with a forensic eye. Later, I will need to restore rhythm and check for any lost meaning. And I’ve still a long way to go. There is also the lurking doubt that I won’t be able to do it without killing off the story completely. But then that’s a challenge too. Time, then, to get back to the bone-trimming and resuscitation department. 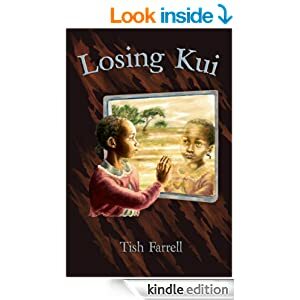 Posted on April 15, 2015 April 15, 2015 by Tish Farrell	This entry was posted in Books, Creativity, Writing and tagged #RansomBooks, editing, Mau Mau Brother, quick reads, Ransom Publishing, reluctant readers, short stories, teen literature, Tish Farrell Writer, wplongform. Bookmark the permalink. Asante sana, daktari. I will take the dawa you so kindly prescribed. Loved the excerpt Tish – I’m hooked! Good storytelling! You are doing the hard work now. Carry on and I’ll look forward to your return when you’re done. The excerpt is phenomenal. It’s a moving story… Thank you so much for sharing, Tish! Oh, what a challenge — but a delightful one. More power to you, lady! Respect to you Tish for this kind of writing. That’s lovely of you to say so, Gilly. It’s rather a mission. Reminds me of something Elmore Leonard wrote. ”I try to skip the boring bits.” – or something like that. I am reading Dead Wake at the moment ( Erik Larsen) and the detail is often minute, which is something I am not always comfortable with. But in this instance it works. I guess it’s all about understanding your audience. I haven’t figured that out yet. I have heard it is almost a science. And I am a lousy self-editor. I read that Stephen Donaldson was asked to ”trim” his 3rd series of Thomas Covenant novels by 250,000 words! I would have had an infarction. Wonderful excerpt, Tish! I’m sure you will rise to the task. What a challenge though. I’m taking a bow, Sylvia. Many thanks. Tak a bow once more, Tish. This is most impressive. Thank you so much, Dina. I do appreciate the fab. four’s good wishes. What’s wonderful-est is that you are writing books for kids that aren’t all sweetness and light. It is rare to find anything for kids with conflict, drama, or relevance. Much less all three! Oh now you’ve made me really happy. Thank you. It is quite a challenge to write for the younger readers! All of the best! Came back for a second read. ; as you know I often do. The excerpt is sharp, by the way. If this is a part that has been pruned it would be interesting to read a before and after. And yes, I do agree with you regarding pruning! I often have a tendency to write as I speak, which is not always a good thing … waffling along sometimes. Oh, I meant to ask first time around are you working with your editor during this ‘culling’ process – working from editorial suggestions – or is it solely off your own bat? No, the culling is all my own at this stage. I dare say the editor will have another go at it. The extract is pre-cull, and I have just been having a go at it. Not much slack there though. Thanks for the second reading 🙂 I like the way you write as you speak. It makes for a good flow. But yes, there always are bits that can be cut out if you write that way. Am v. touched by your kind comments, Tiny. What an interesting thing to have to do, and of course you write about it thoughtfully and well. Thanks, Meg. I have to say the process does make my brain spin though.